In the academic year 2015/2016, four students from Geography and Environmental Studies successfully completed their internship programme with three different companies in Bandar Seri Begawan under the supervision of Dr. Shafi Noor Islam. Eric Lu did his internship at IEC (Integrated Environment Consultants), in Brunei Darussalam. 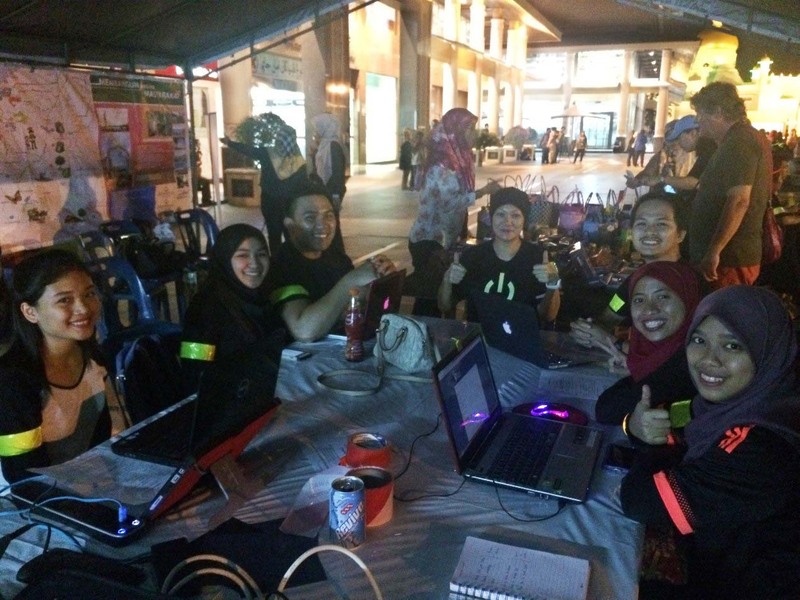 Leiyla Hakima did her internship at Brunei Gas and Carriage, in Bandar Seri Begawan. 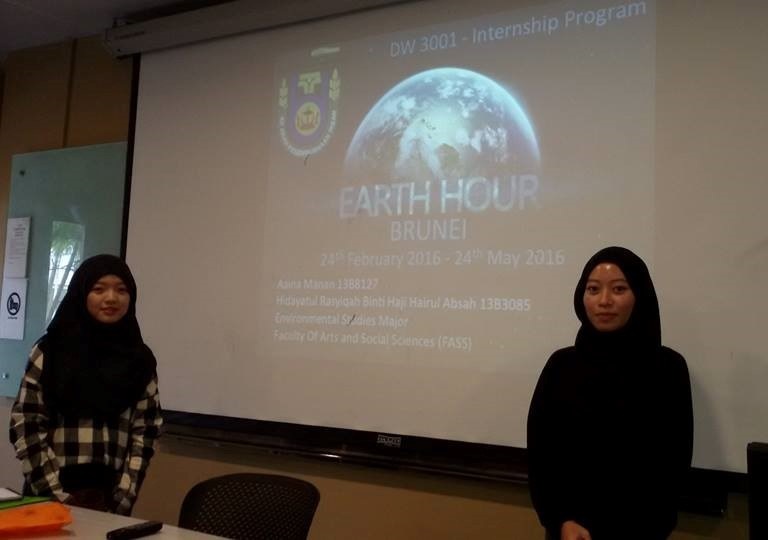 Aainna Manan and Hidayatul Rasyiqah completed their internship at EARTH HOUR, Brunei. This is an attractive people-oriented environmental awareness programme with school children and adults. 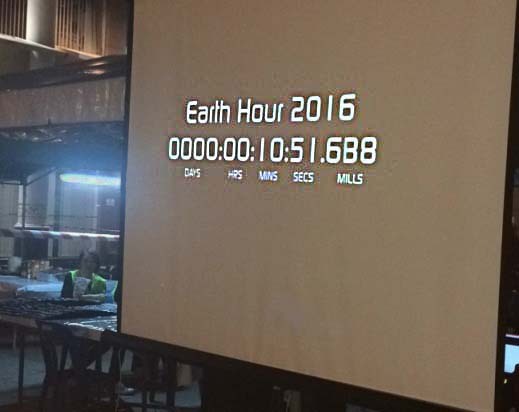 Since the launch of first the country’s Earth Hour in 2010, EHBN has been creating networks of communities, implementing community engagements and activities, as well as going to education institutions and corporate offices across the country to raise awareness on climate change. 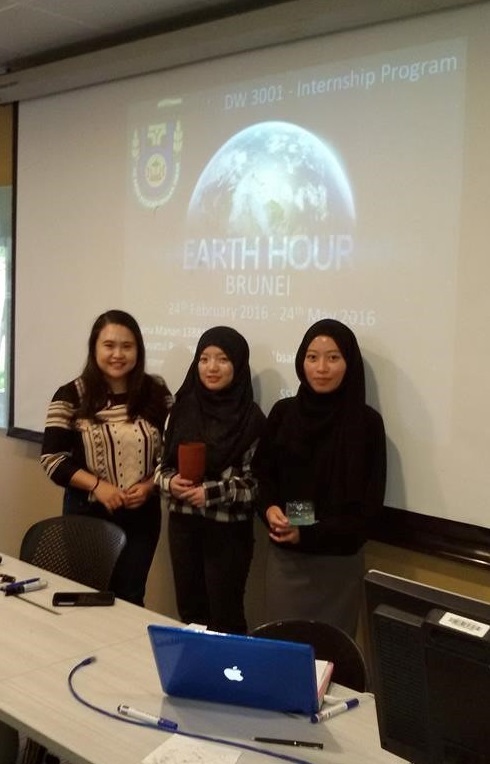 In conjunction with this year’s Earth Hour theme — “Shining the Light on Climate Action” — the event focused on the 3Rs, Reuse, Reduce and Recycle, to instill in the students a responsible attitude towards the environment through positive actions. The objectives of the project are: to cultivate awareness in the students towards the environment, to enhance knowledge of the students on green activities such as recycling plastic bottles, and to encourage the students to take on opportunities in making something good out of recyclable items (e.g. plastic bottles). The activities started with a brief introduction about the organization and its objectives followed by a short speech on environmental issues and the 3Rs. As part of their internship obligations and EHBN’s bid to go ‘Beyond the Hour’. The interns, Aainaa Manan and Hidayatul Rasyiqah Hj. 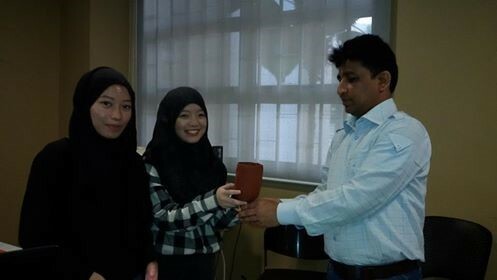 Hairul Absah, prepared the activity plan and instructed the 27 students on making three craft items; turtle coin banks, vases and stationery holders. All were crafted from one large plastic bottle. The aim of the project was to use green activitiesto in order to nurture the students from a young age to become environmentally conscious. The students showed a keen interest in crafting items out of the plastic bottles and they were eager to make more. In conclusion, the event was a fun and educational platform for the students to learn how to make useful items out of recyclable products which in turn cultivated a better awareness of the environment. Hopefully there will be more green activities in the future that not only children but also adults will enjoy.